Looking for creative projects to do in your home with your kids? 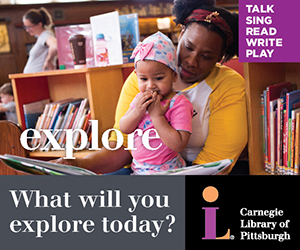 In the Kidsburgh CREATES series, we interview local makers who offer fun, educational and affordable DIY projects for children and families. As our kids go back to school this month, the acronym STEAM–or science, engineering, technology, art and math–starts coming up again. So, what exactly does STEAM mean? 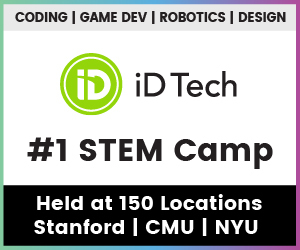 Basically, STEAM is an educational approach that integrates two or more of these five disciplines in hands-on ways. 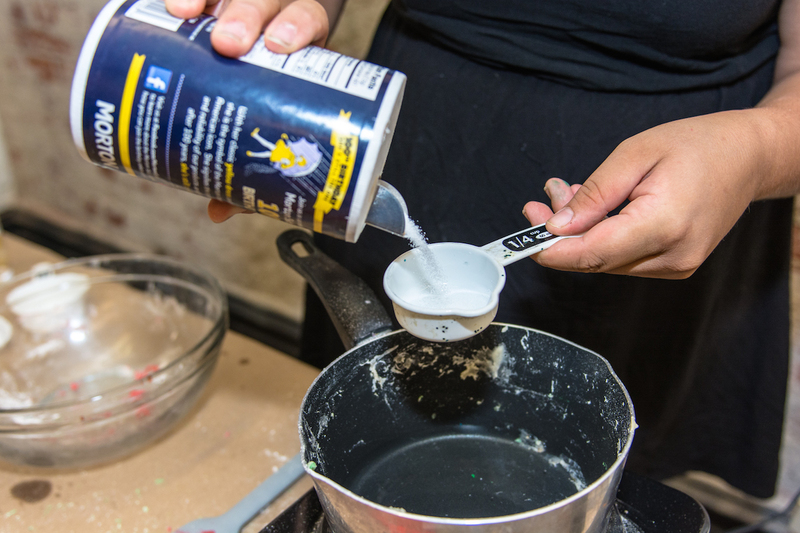 While a growing number of Allegheny County schools have fancy STEAM learning spaces (thanks in part to great work being done by the Center for Creativity and the Remake Learning Network), a STEAM project can be simple to do in your own home as well. 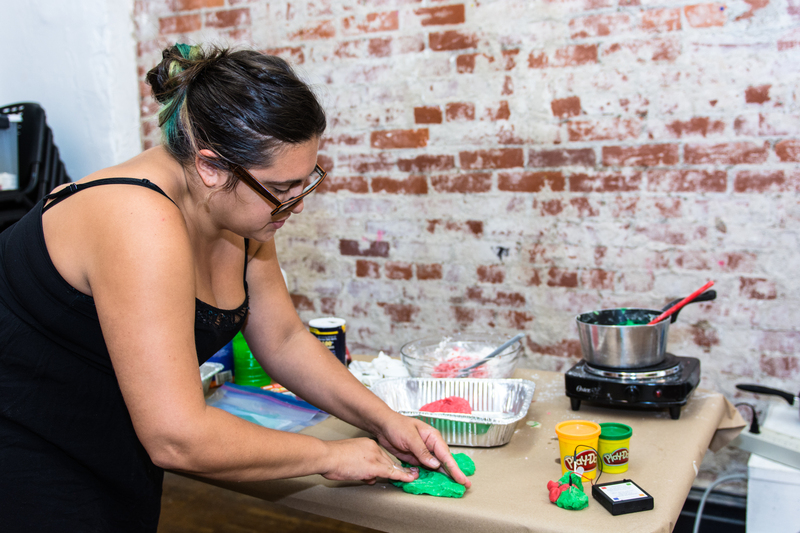 For this article, we interviewed Nina Barbuto, a passionate STEAM advocate and the founder of Assemble, a community learning space in Garfield. 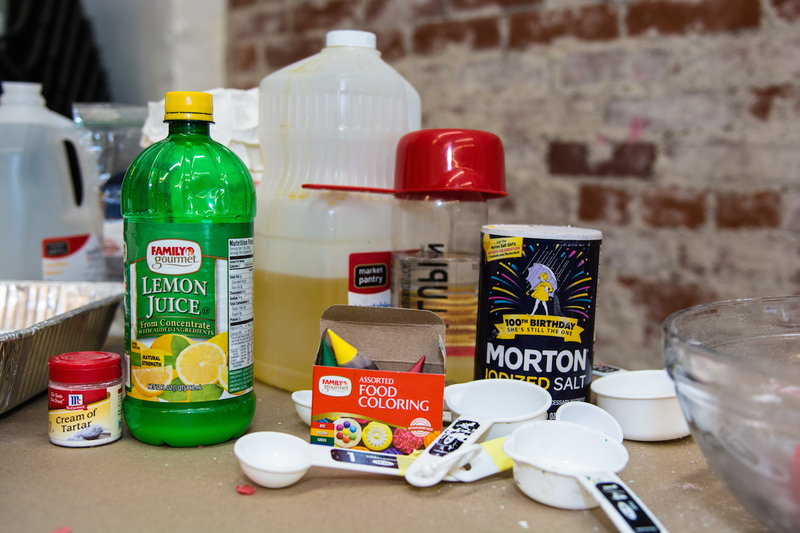 Nina suggested these three easy and cheap STEAM projects for families. 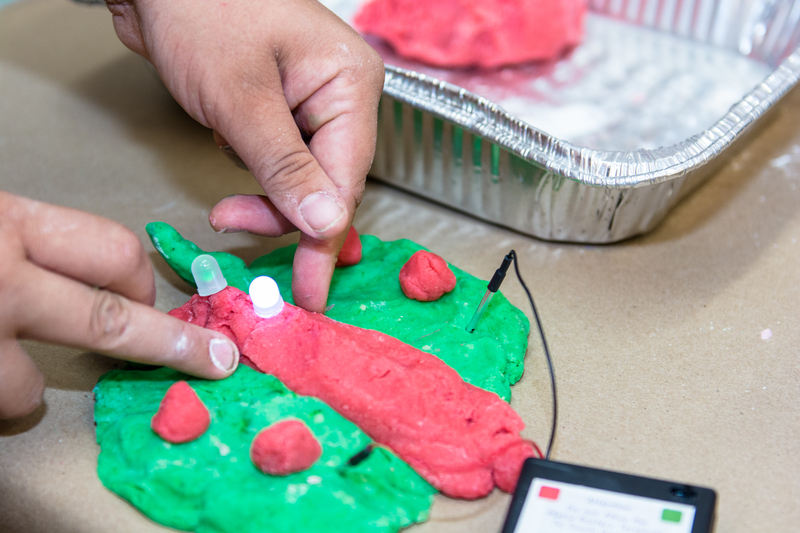 For this project, kids will make their own conductive play dough and then use it to create electrical circuits that illuminate LED lights. 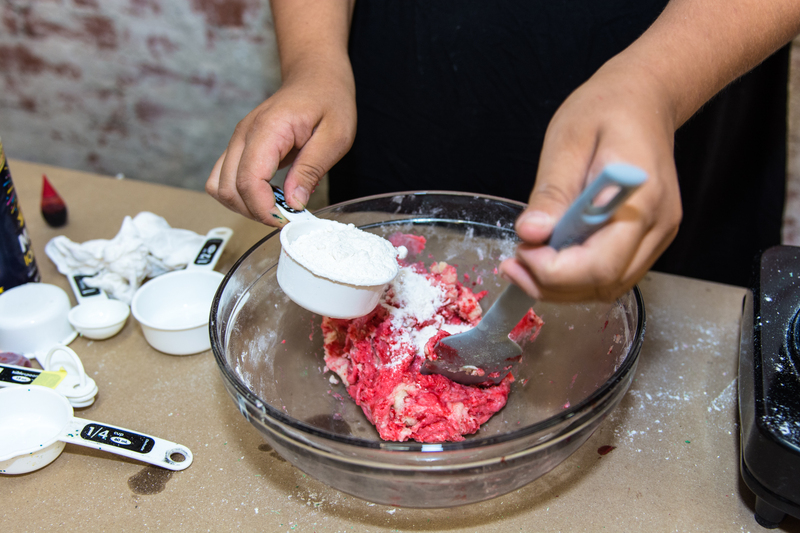 We love this project because it takes the universally popular creative medium of play dough and uses it to teach cool science concepts. First, kids will make conductive play dough. The salt in this recipe allows it to conduct electricity. 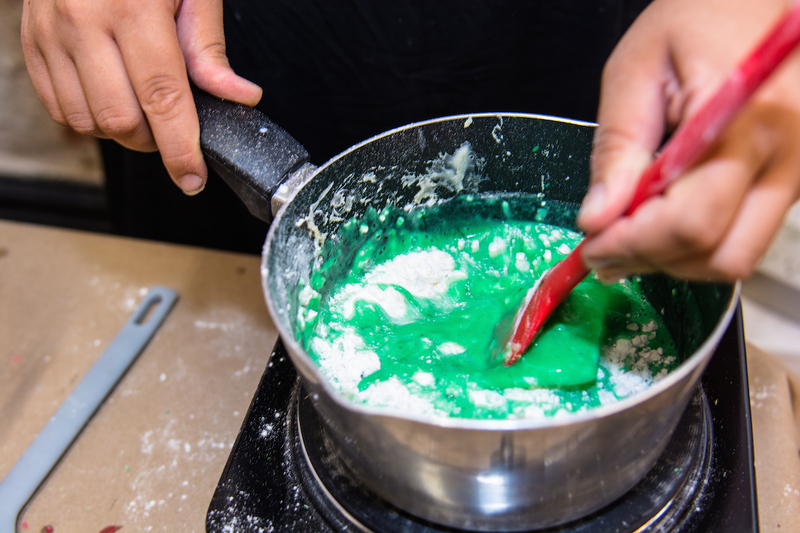 Mix water, 1 cup of flour, salt, cream of tartar, vegetable oil and food coloring in a medium-sized pot. Next, cook over medium heat and stir continuously. The mixture will begin to boil and start to get chunky, but keep stirring the mixture until it forms a ball in the center of the pot. Once a ball forms, place it on a lightly floured surface. Let it cool because it will be HOT! Slowly knead the remaining flour into the ball until you’ve reached a desired consistency. Store in an airtight container or plastic bag. While in the bag, water from the dough will create condensation. This is normal. Just knead the dough after removing it from the bag, and it will be as good as new. If stored properly, the dough should keep for several weeks. Next, kids will make the insulator dough. This dough does not include the salt, which makes it a poor conductor for electricity. 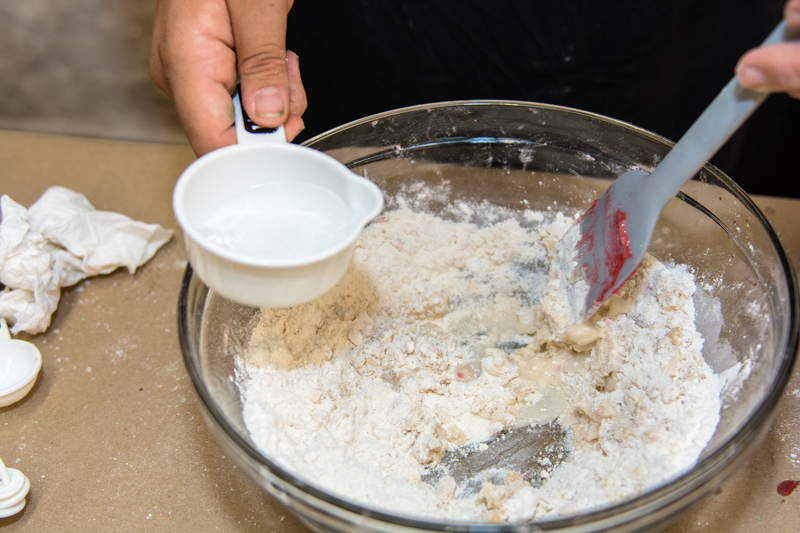 Mix solid ingredients and oil in a large bowl, setting aside 1/2 cup flour to be used later. Mix in a small amount of deionized water (about 1 tbsp) and store. 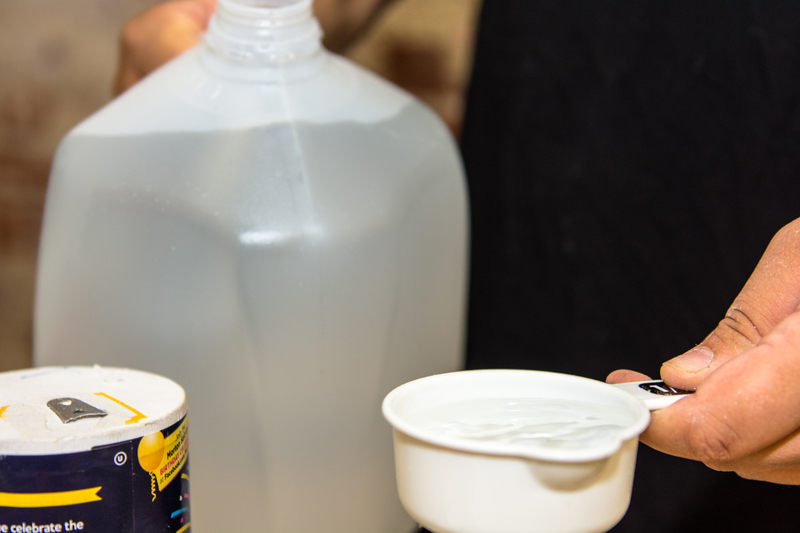 Repeat this step until a majority of the water is absorbed by the mixture. Knead the mixture into one lump. Knead more water into the dough until it has a sticky, dough-like texture. Then knead in the flour until a desired texture is reached. Again, store in an airtight container or plastic bag. Next, kids will build circuits using their two types of dough. All you need are 10 mm LEDs, battery holders and AA batteries. 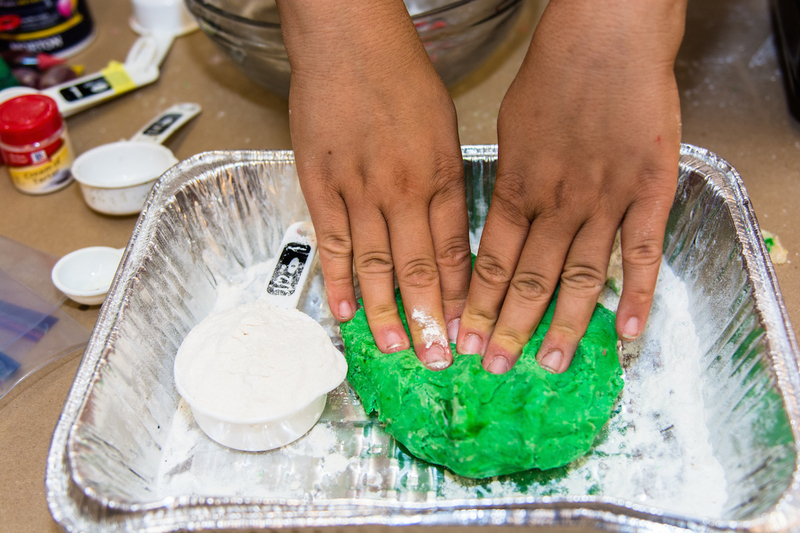 Create whatever fun shapes you want with the conductive play dough. We created a butterfly, where the conductive play dough was used to make the two wings and the insulating play dough was placed in the center as the body. 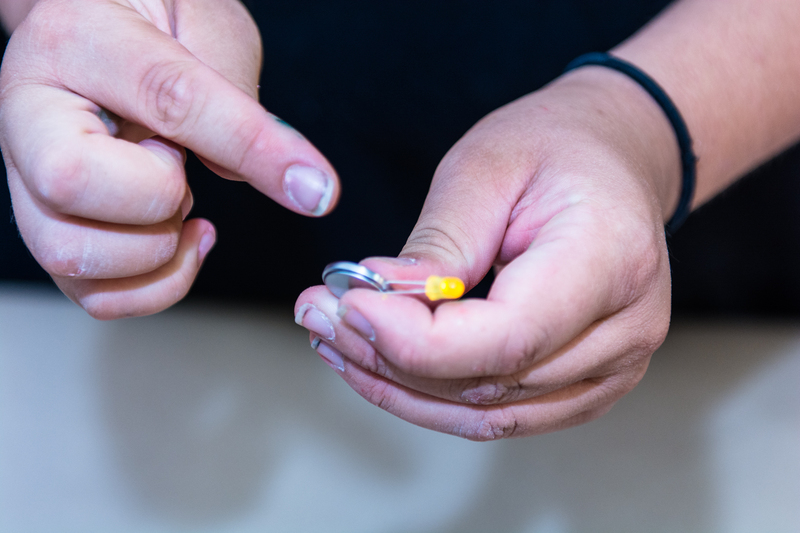 By acting as an insulator, it allowed us to create an electrical circuit in the next step. Next, insert the positive and negative sides of the battery pack into the two different butterfly wings (see below). 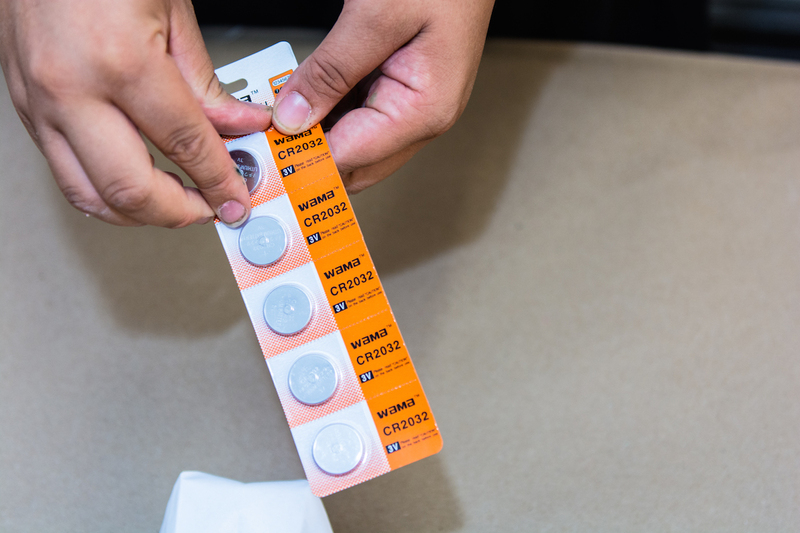 Then straddle the LED poles across the insulator, making sure that the positive pole of the LED matches up with the positive side of the battery. 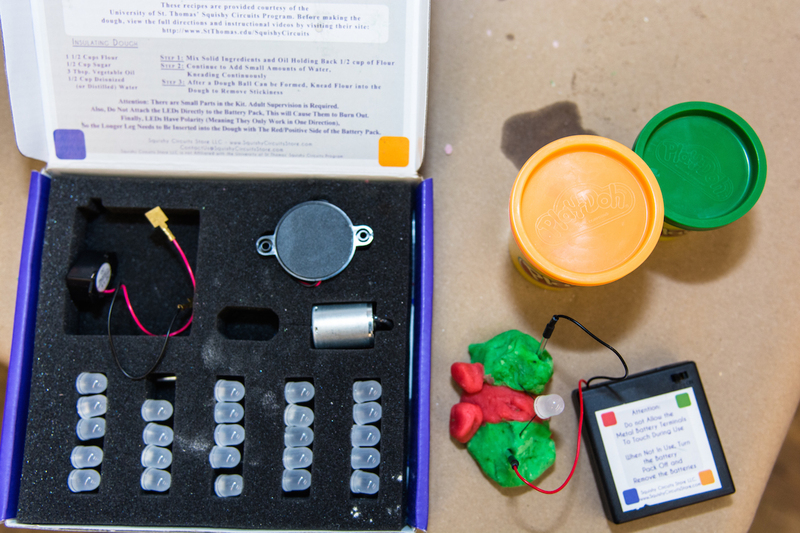 There are tons of fun circuits that you can make using these basic ingredients. More ideas can be found here. This creative project is great for the slightly older child who loves fine motor tasks. Barbuto suggested making a bunch and decorating your child’s room with it. First, create your origami balloon, according to the YouTube video below. Take your 3V lithium battery. And attach the positive pole of the LED light to the positive side of the battery (same for the negative). Tape it on. 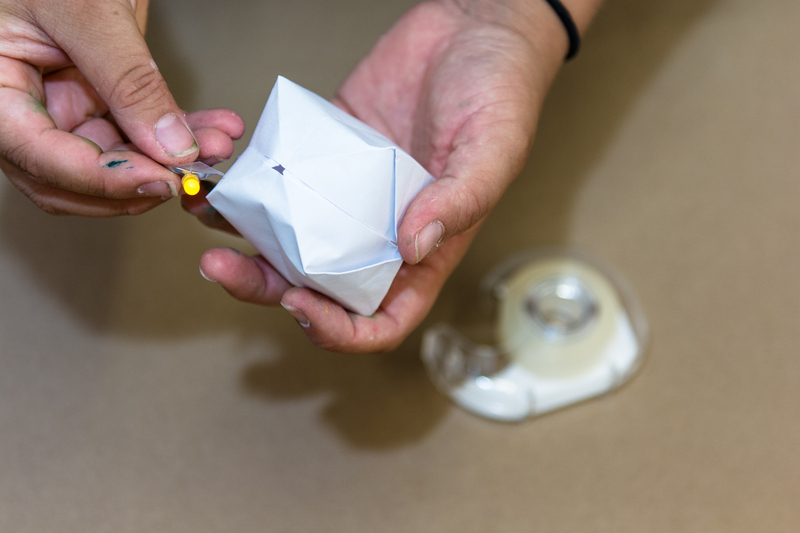 Insert the LED with battery into the origami balloon. Ta-da! 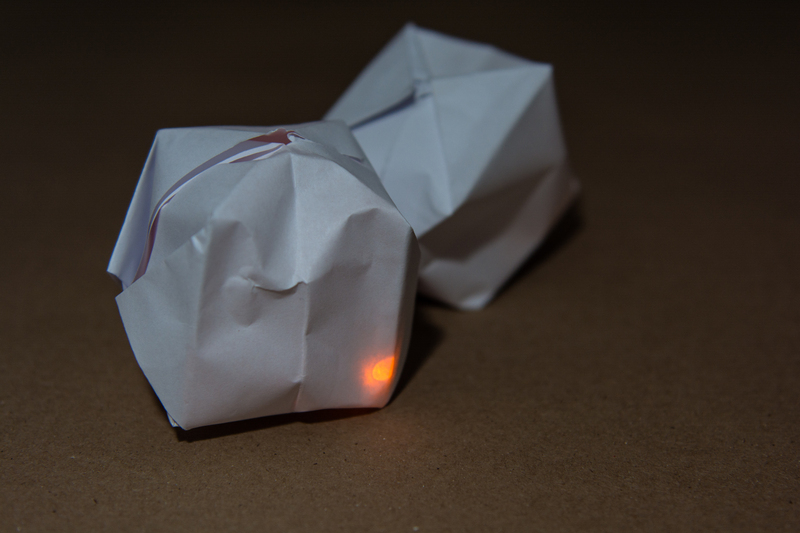 You now have a lit origami balloon that can be used in all sorts of creative ways. 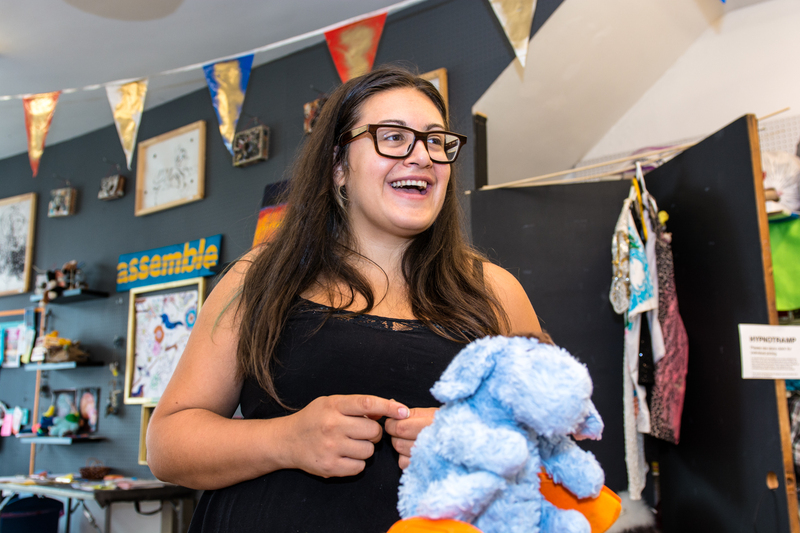 Our final project breathes new life into something many of us have around our homes–old stuffed animals! It’s very easy and allows us to reuse rather than discard. Use your scissors to cut off your stuffed animal’s body parts. 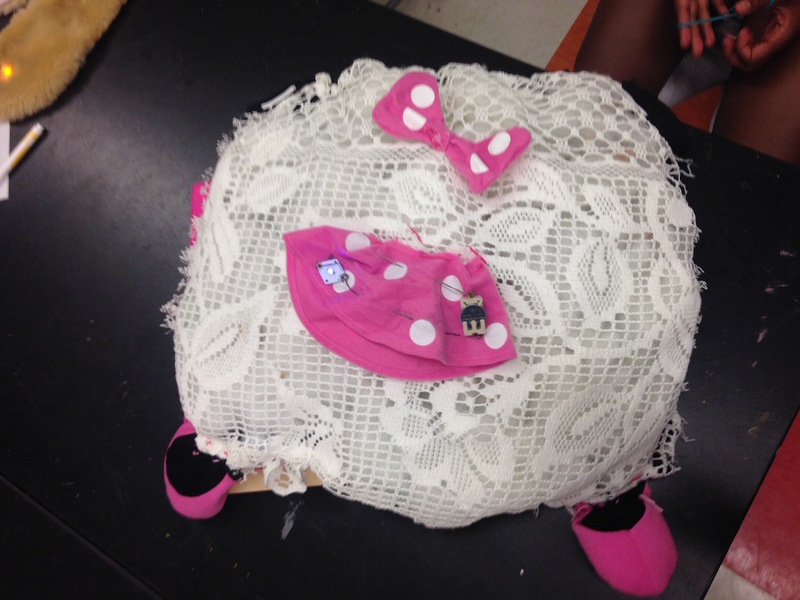 Then reattach by sewing, pinning or gluing in creative ways to make new animals. You can then attach the LED light/lithium battery device mentioned above to give your stuffed animal some eyes, some decorative bling or whatever else your imagination comes up with! Want to do more projects like this? Barbuto’s Assemble offers a broad range of free or very affordable STEAM programming for kids of all ages. The free drop-in Saturday Crafternoons program is particularly popular among families. 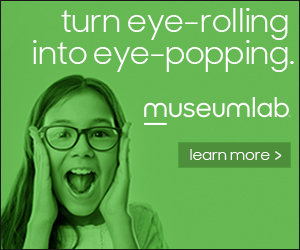 Assemble also offers summer camps, an after-school program and a variety of special programming during the evenings. Also, you can always pop in during the monthly Unblurred gallery crawl to do a fun project! Check Assemble’s calendar to find the right program for your family. Finally, local makers, including Barbuto, will unite next month at Maker Faire Pittsburgh. This popular family-friendly event spotlights local maker projects that run the gamut from pyrotechnics and electronics to puppetry and cycling. In addition to displays and exhibits, Maker Faire Pittsburgh will feature special performances, speakers, demonstrations and hands-on workshops for 3D printing, laser cutting, silk screening and more. Nadine Champsi is an MD turned write-at-home Pittsburgh mom with two lovely children.